High schooler Shiina Shinya thinks that all girls are pretty much good-for-nothing, mostly because he doesn’t understand them at all. That doesn’t stop him from being surrounded by strange girls! Tsubasa Tooka, a cute, much-admired girl, stalks him. Shikimura Masami is majorly into masochism, and has recruited Shinya into her play sessions. Ikari Satsuki seems suspiciously interested in the recent serial stabbings, and seems to want to drag Shinya into it. Banjou Yoruko, a normally quiet, bookish girl, has decided she and Shinya are bound up in some fantasy setting. Uchida Yumeji is the school’s sleeping beauty, who spends all of her time in the infirmary because she requires so much sleep. Shinya brings her newspapers, so she can keep up with current events in the short time she spends awake. Lastly, Okui Akane is convinced she is a vampire. For all Shinya knows, it could be true, but in practice it just means that he has to let her drink his blood. How will Shinya deal with all these good-for-nothing girls that complicate his life? 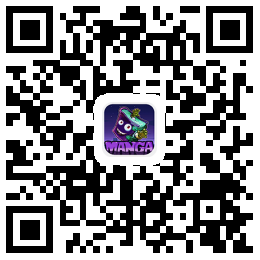 Caution to under-aged viewers: The series Abnormal-kei Joshi contain themes or scenes that may not be suitable for very young readers thus is blocked for their protection. If you are 18 and above, Please click here to continue reading.